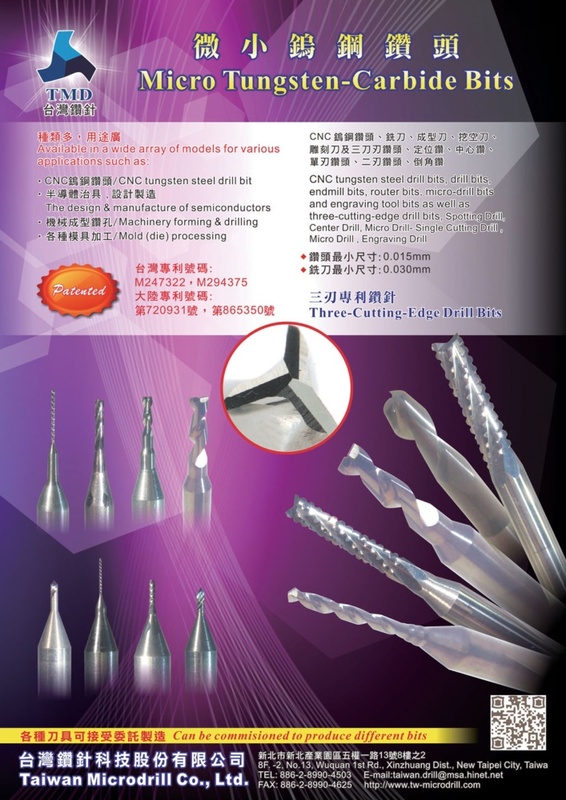 Founded in 1997, we offer tungsten-carbide micro-drill bits, semiconductor-use jigs, and other tungsten carbide cutters including end mills, positioning drill bits, chamfering end mills, router bits, vertical milling cutters, drill/milling cutters, and dual-flute micro-diameter end mills. Our products suit drilling machines and PCB drilling services. The minimum drill diameter of our bits is 0.04mm; while the minimum milling cutter diameter is 0.03mm, and the concentricity of triple-flute micro-diameter end mills/cutters/shanks is less than 0.002mm. Using micro-grain tungsten-carbide imported from Europe and Japan to make drill bits and cutters, we offer quality products that ensure precise drilling, zero deflection, and low defective rate to lower production cost and enhance product competitiveness.